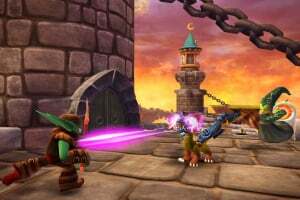 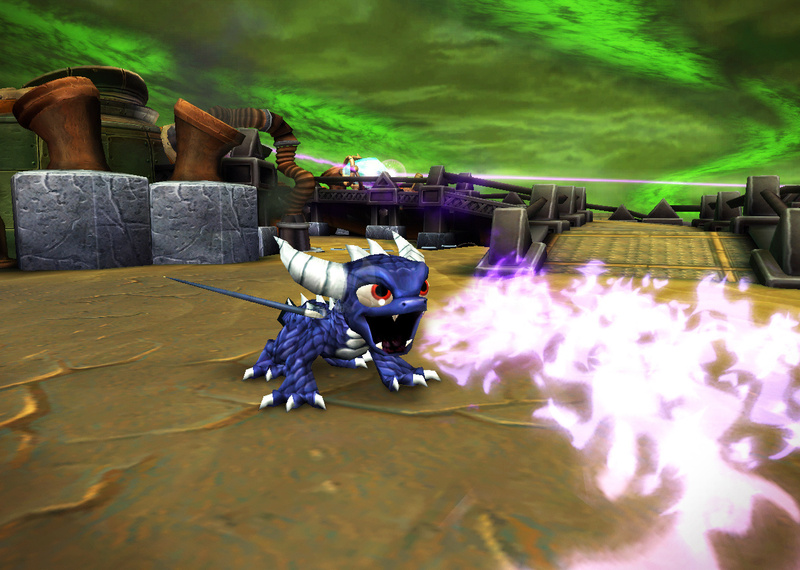 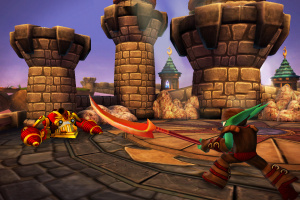 In Skylanders Spyro’s Adventure, you can ‘Bring Your Toys to Life’ in a boldly innovative adventure game where players collect real-world interaction figures and teleport them directly into the game using a mystical Portal of Power. 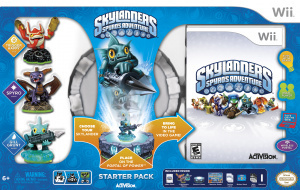 Propelled by a story-driven adventure, penned by Academy Award-nominated Toy Story feature film writers, Joel Cohen and Alec Sokolow, players take on the role of a powerful Portal Master who can control over 30 different characters, including the beloved fire-breathing dragon Spyro. 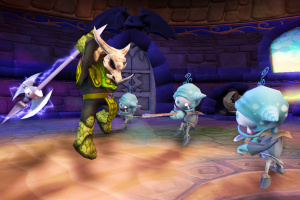 Players will embark on a fantastical journey into an amazing world, where they will explore mysterious, mythical lands, battle menacing outlandish creatures, collect gold and treasures, and solve interesting puzzles while on a quest to save their world from Kaos, an evil Portal Master. 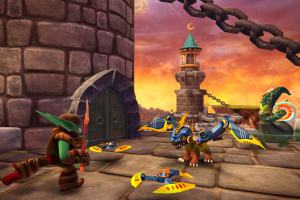 Skylanders Spyro’s Adventure changes the way we look at toys and videogames, as well as how we interact with them by introducing action figures that become interaction figures and remember all of their dynamic experiences created in the game. 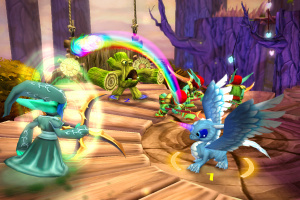 For the first time ever, players can personally customise and power-up their toys, as well as bring them to life on a friend’s Portal of Power for co-op play and player-versus-player arena battles. 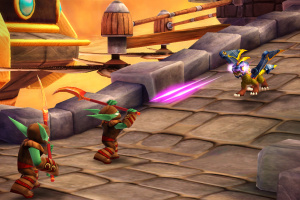 Additionally, with the freedom to change characters whenever they like, Skylanders Spyro’s Adventure allows kids to utilise different interaction figures and strategies each time they play. 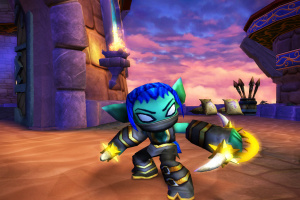 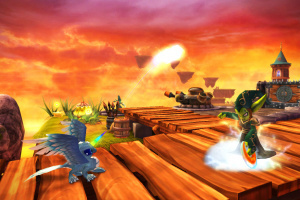 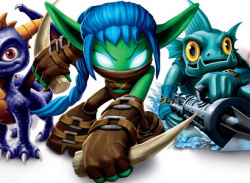 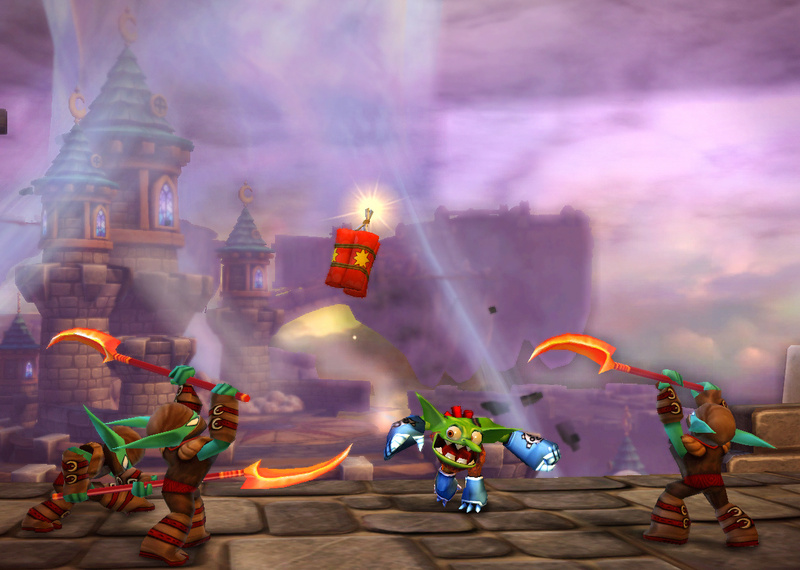 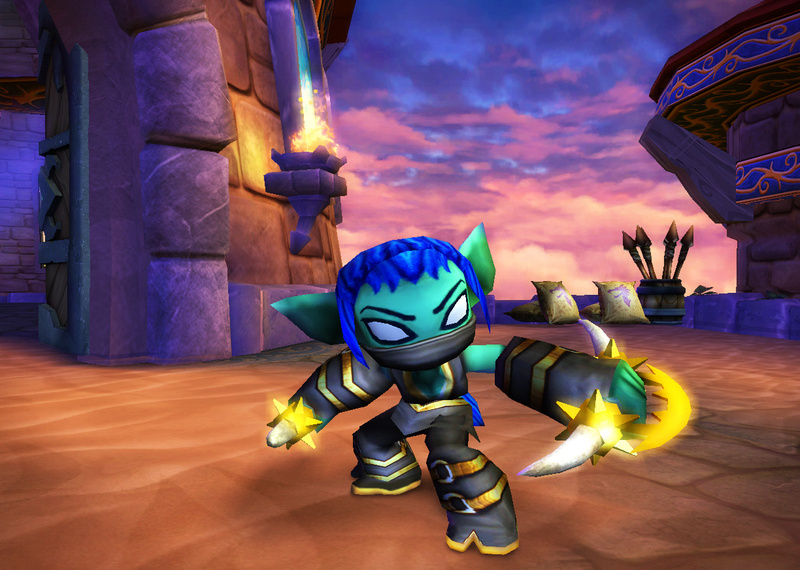 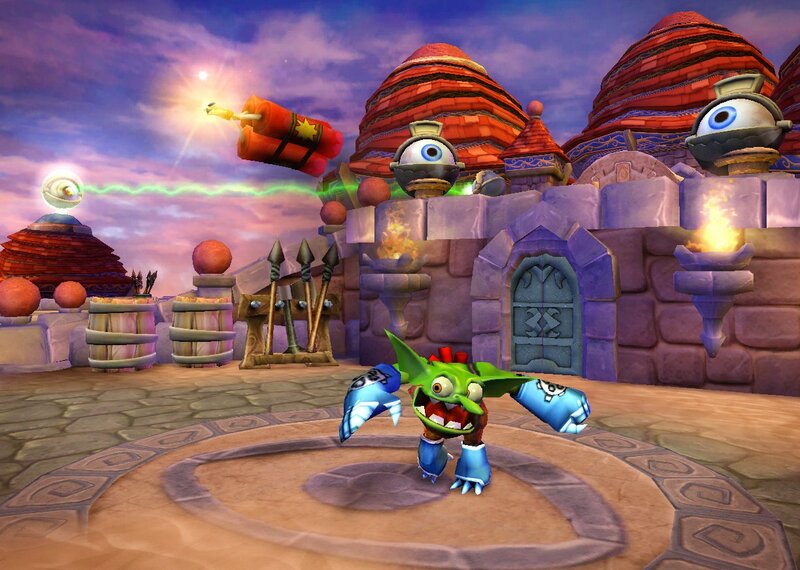 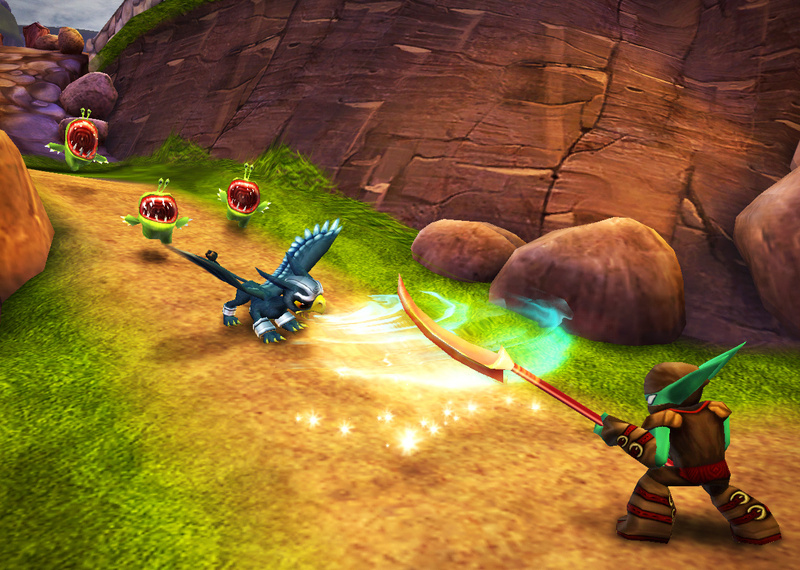 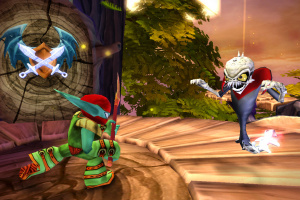 · Interaction Figures – Skylanders Spyro’s Adventure offers over 30 characters to bring out the kid in everyone. It’s all about choice, and each interaction figure has their own unique and expressive personality, powers and abilities which provide distinct advantages and skill sets for various levels, obstacles and enemies. o Toys with Brains – Action figures become interaction figures as each toy contains a “brain” that remembers the player’s shared experiences and leveled-up abilities (e.g. 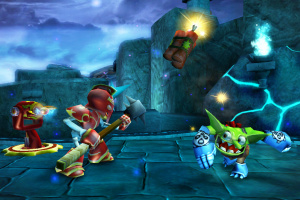 stats, ability and attack upgrades, and gold collected) created in the game directly within each toy. 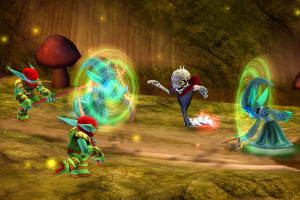 This allows players to personally customise and power-up their characters, as well as take their interaction figures on-the-go to bring them to life on a friend’s ‘Portal of Power’ for co-op play and player-versus-player arena battles. 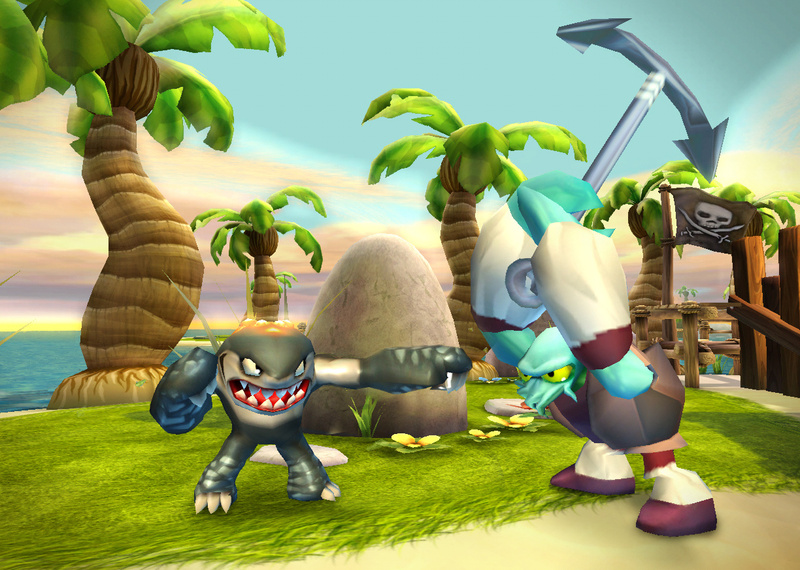 o Categories, Strategy & Collectability – Interaction figures are classified by element types (Earth, Air, Fire, Water, Life, Undead, Magic, and Tech) and each has their own heroic challenges that are unlocked as more characters are collected. 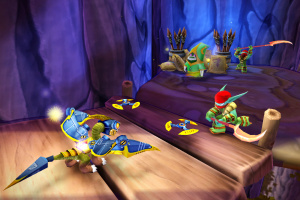 Players can collect and then strategically select their favourite characters within the different element types to go up against certain enemies, obstacles, and puzzles as well as access new areas within the different levels of the game. 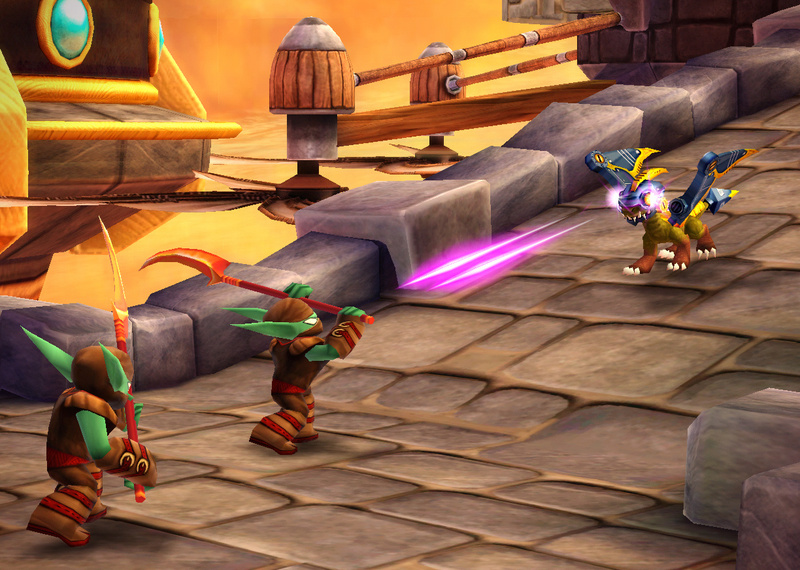 o Toy Cross-platform Playability – For the first time ever, Skylanders Spyro’s Adventure introduces “Cross-platform Playability.” Players will be able to collect a variety of toys and bring them to life using the innovative Portal of Power across a variety of transmedia experiences, including consoles, handhelds, and the Web World. · The Portal of Power – The mystical Portal of Power serves as a gateway between our world and the amazing game world, allowing you to ‘Bring Your Toys to Life’ by teleporting real-world toys directly into the game for players to control when placed upon the Portal of Power. · Exploration – As the tale unfolds, players will encounter a variety of vivid environments, each with its own unique look and feel, and each providing different challenges, puzzles, and the discovery of secret areas, rewards and mini-games. 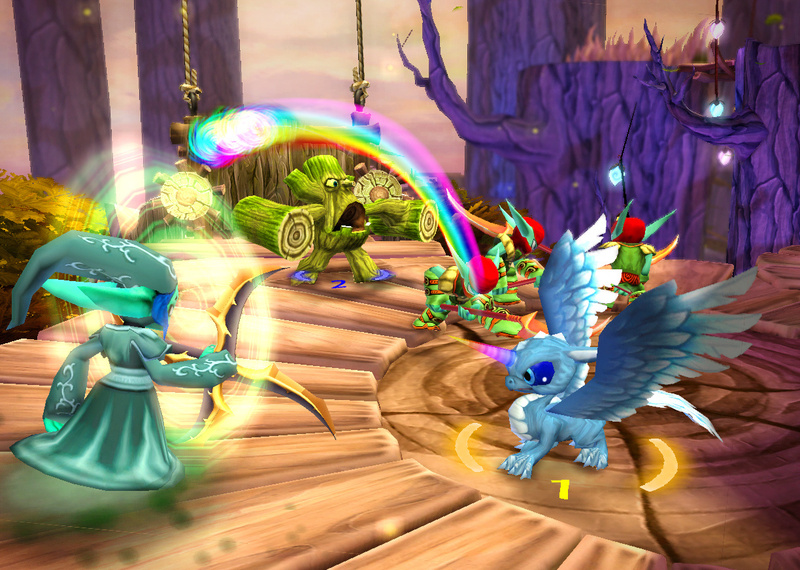 · Co-Operative Play – Players can join forces with friends and drop in and out of each level with as many different interaction figures as they like. 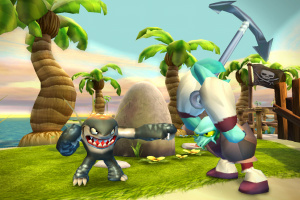 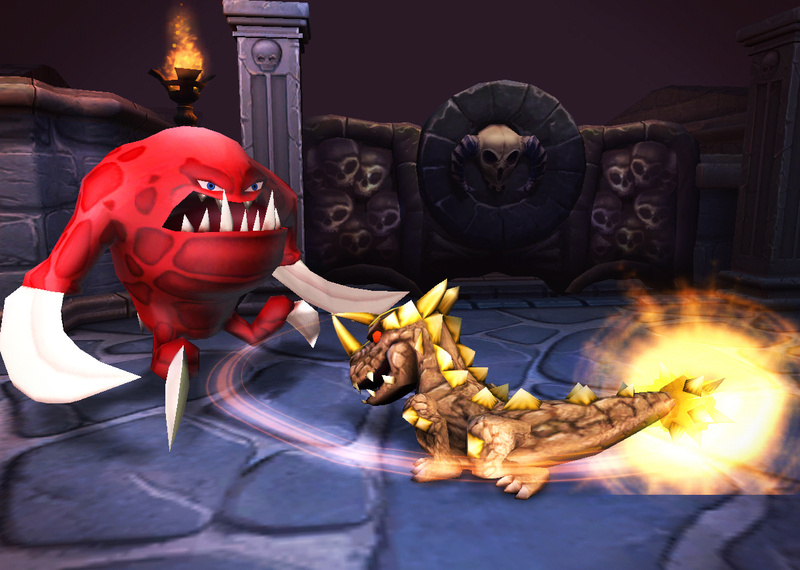 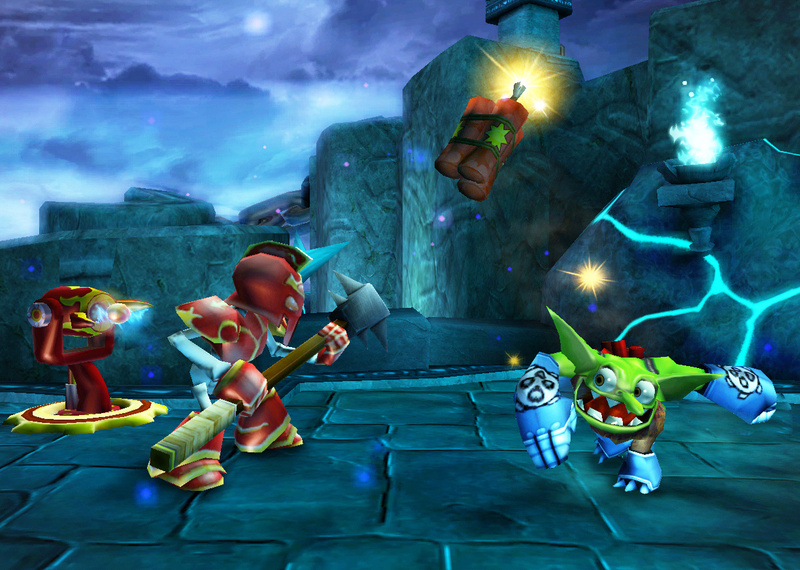 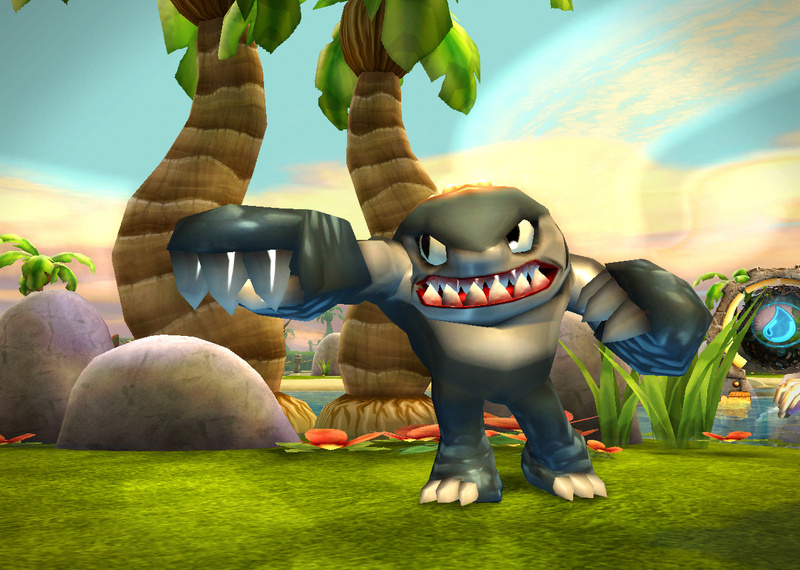 Different strategies can come into play as players can select their favourite characters to tag-team against certain obstacles, hazards and/or enemies within the different levels of the game. 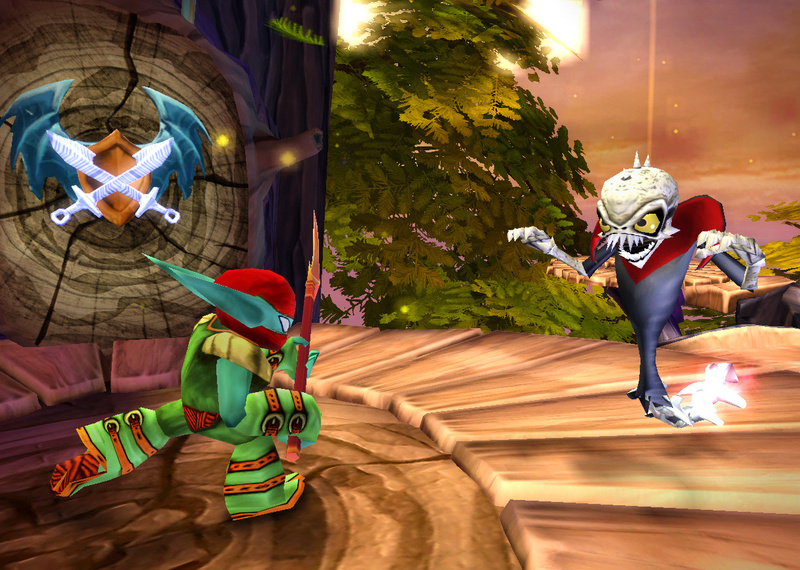 · Player vs. 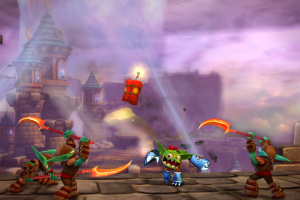 Player – A classic battle mode provides a selection of different game modes and arena maps for players to face off against each other. 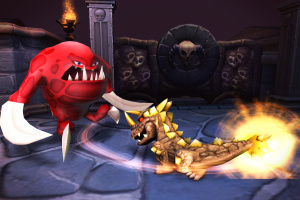 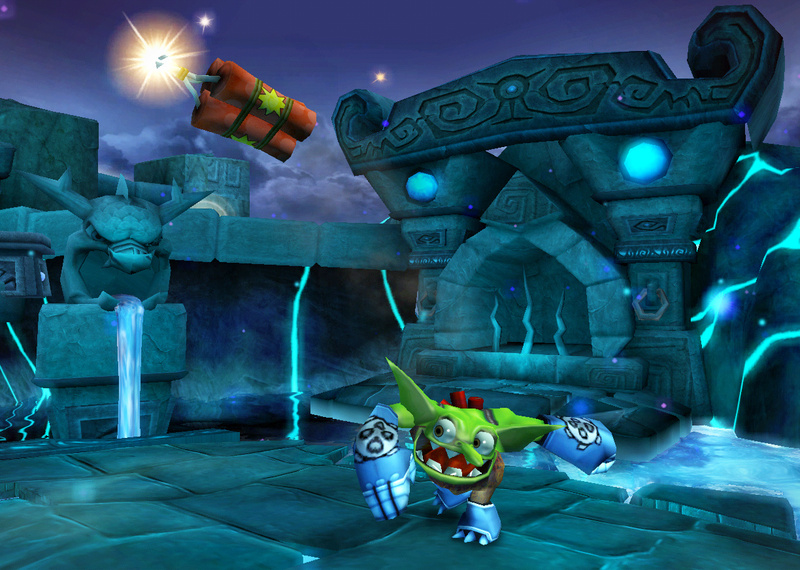 Each unique arena map contains a variety of obstacles, hazards and power-ups. 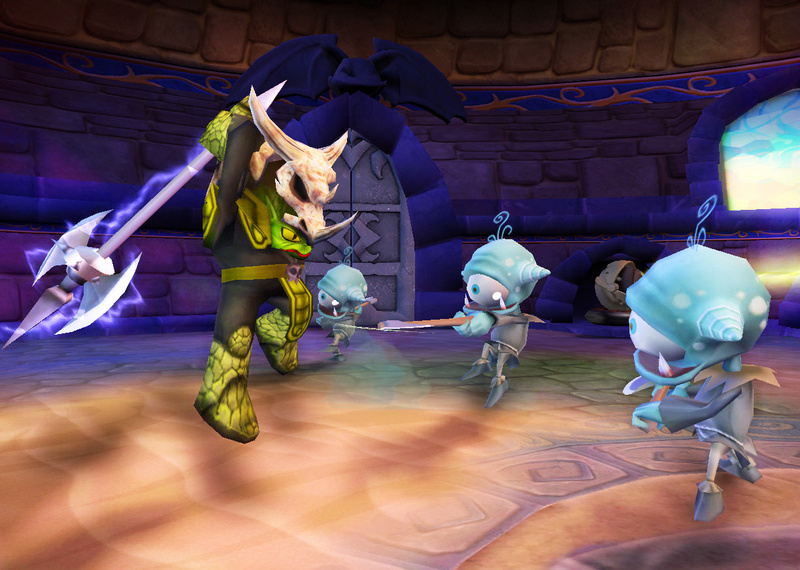 Players will want to make sure they build up their army of different characters and level them all up to battle their friends on equal ground. It's actually pretty fun. 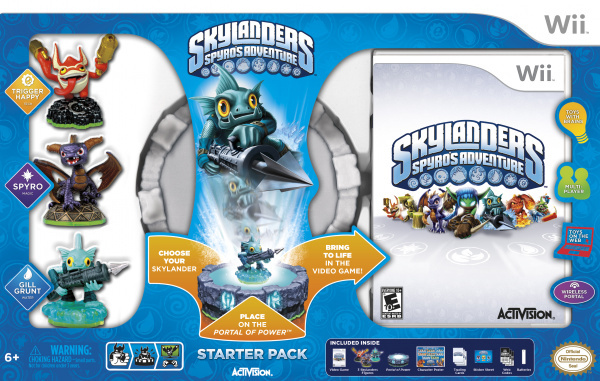 And it had a price drop at Gamestop to $50, and I think it was worth it. 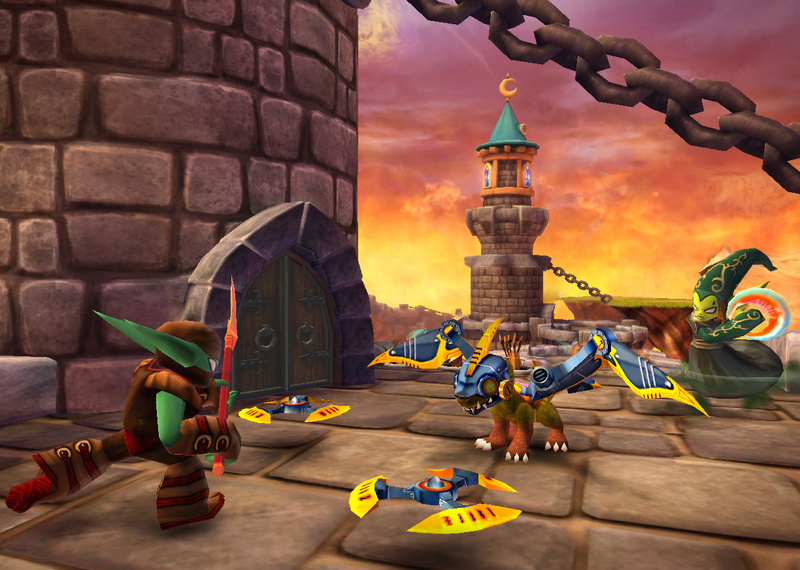 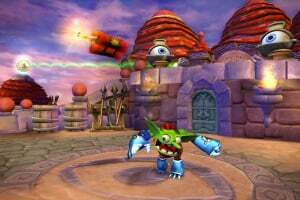 Remember when Skylanders actually had good storytelling and properly felt magical?